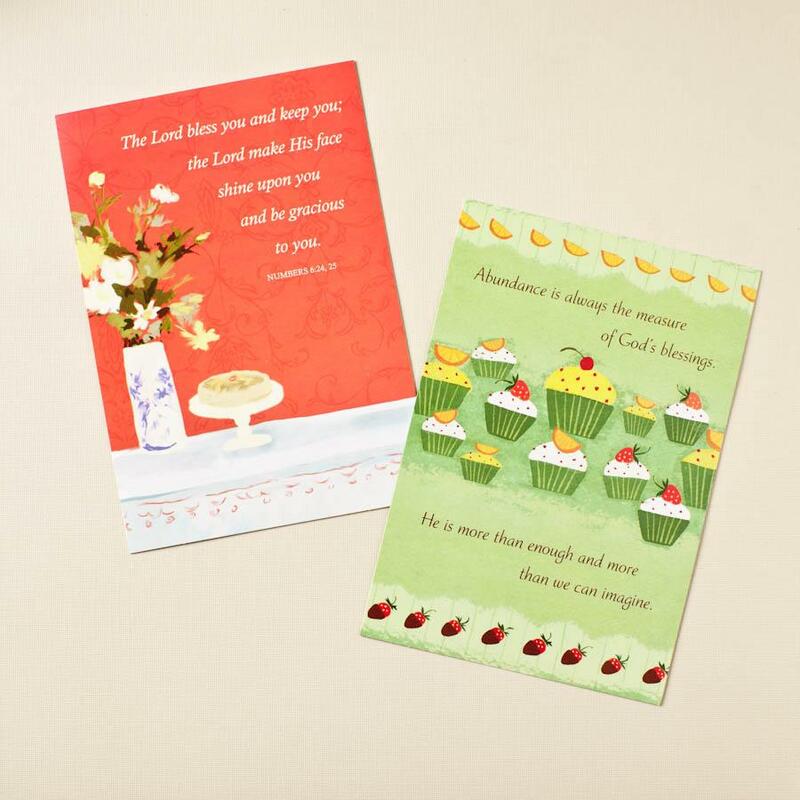 Send one of these whimsical birthday designs to celebrate and bless her with Scriptures and encouraging messages. Folded card size: 4.5" x 6.56"
and it cast an amazing light on her life. that no one else can. a journey as unique as you are. Pour out Your unfailing love on those who know You! enough and more than we can imagine. and look forward to His best! 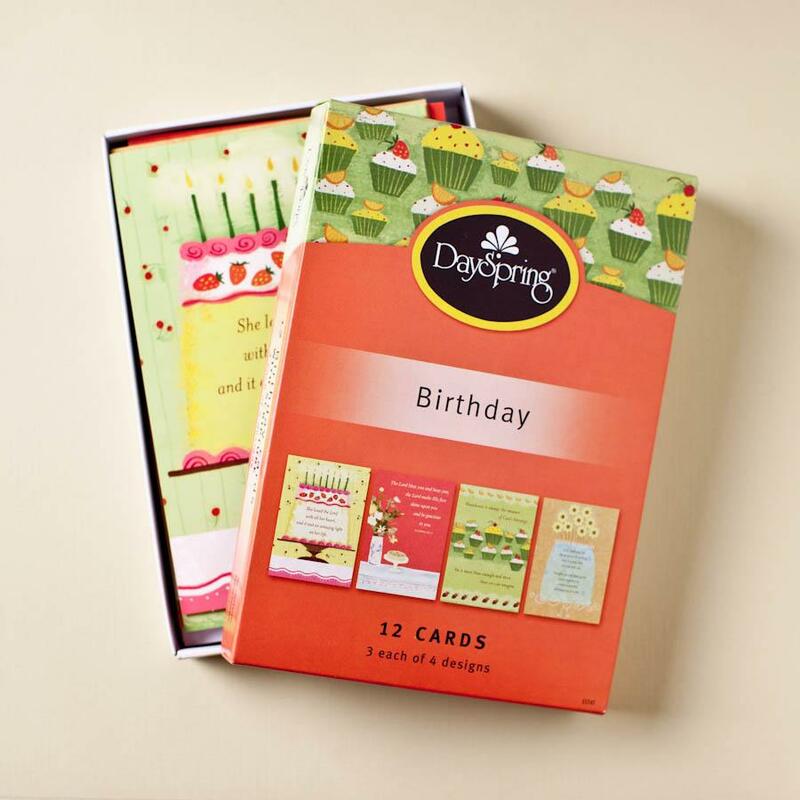 Birthday - Scripture Treasures - 12 Boxed Cards by DaySpring was published by Dayspring in October 2010 and is our 21642nd best seller. The ISBN for Birthday - Scripture Treasures - 12 Boxed Cards is 0081983398520. 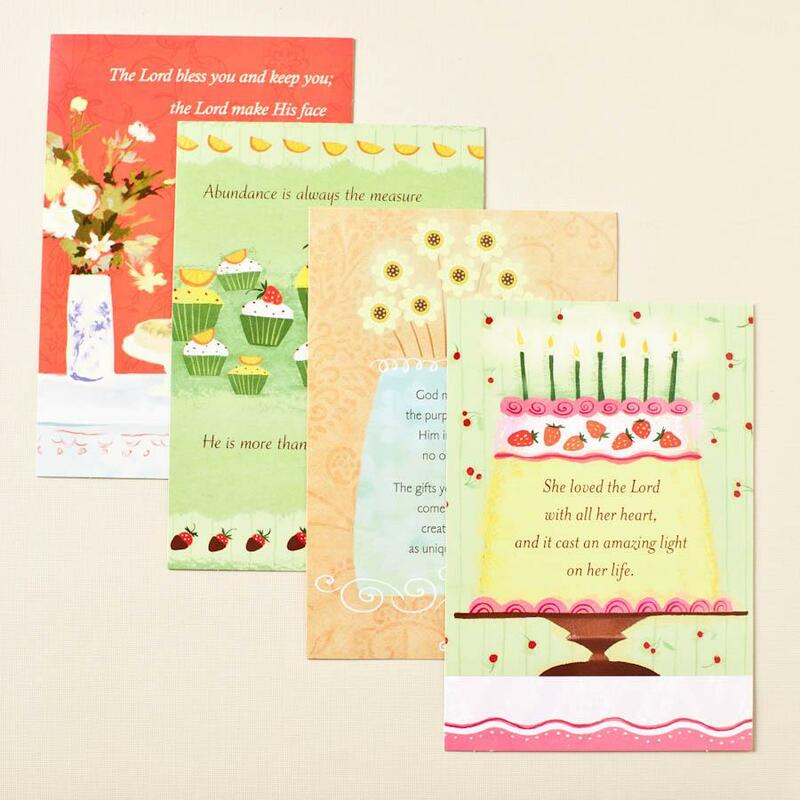 Be the first to review Birthday - Scripture Treasures - 12 Boxed Cards! Got a question? No problem! 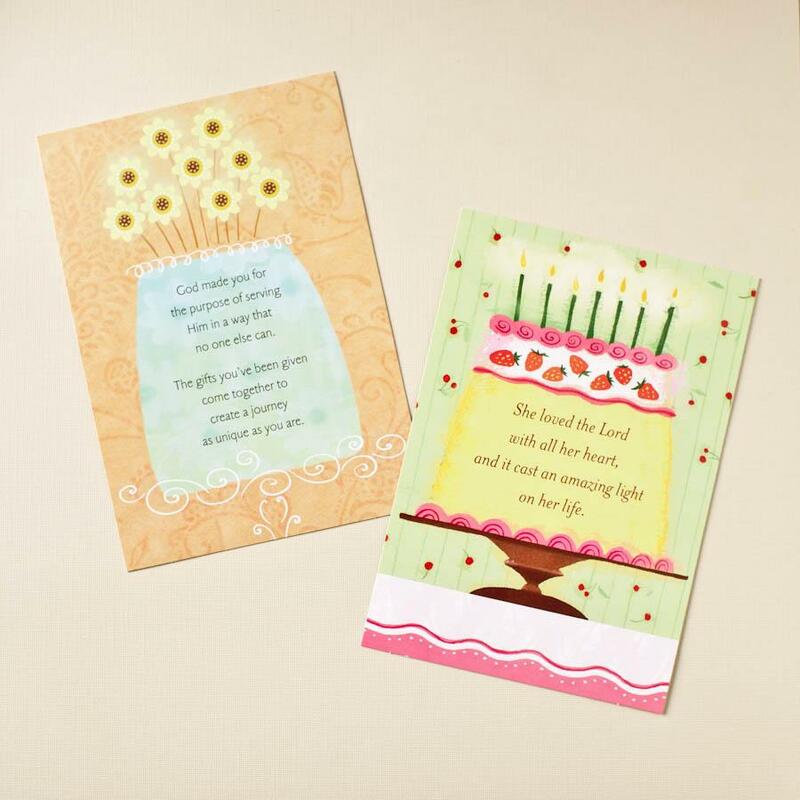 Just click here to ask us about Birthday - Scripture Treasures - 12 Boxed Cards.